BOOK TODAY AND TAKE ADVANTAGE OF OUR CONVENIENT MONTHLY PAYMENT PLAN! 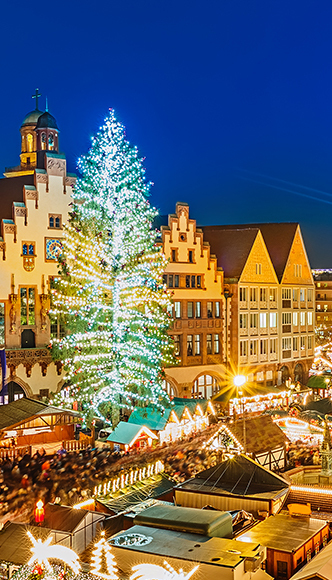 The Christmas Markets of Europe - 3 Ways! SAME ROOM FOR BOTH CRUISES (BASED ON AVAILABILITY, OF COURSE). 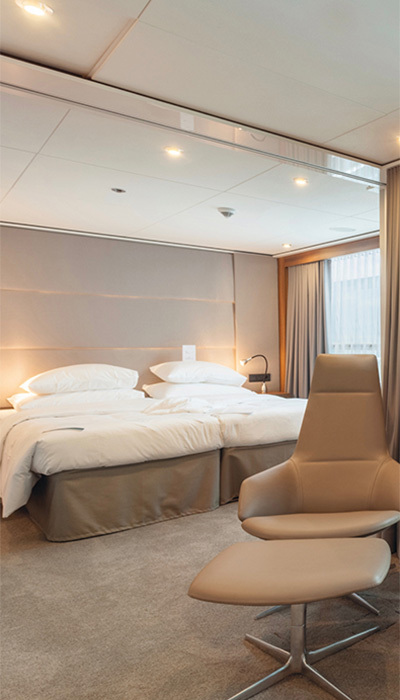 The pricing for the suites and staterooms on our European river cruise adventures can be found on this page. Each contemporary, boutique hotel-style room in our wide range of options is designed to enhance your experience, with elegant, hand-picked furnishings right down to the smallest, thoughtful detail. “Dream big.” That was the challenge Emerald designers faced when creating their new Star-Ships. Lucky for us, they did! 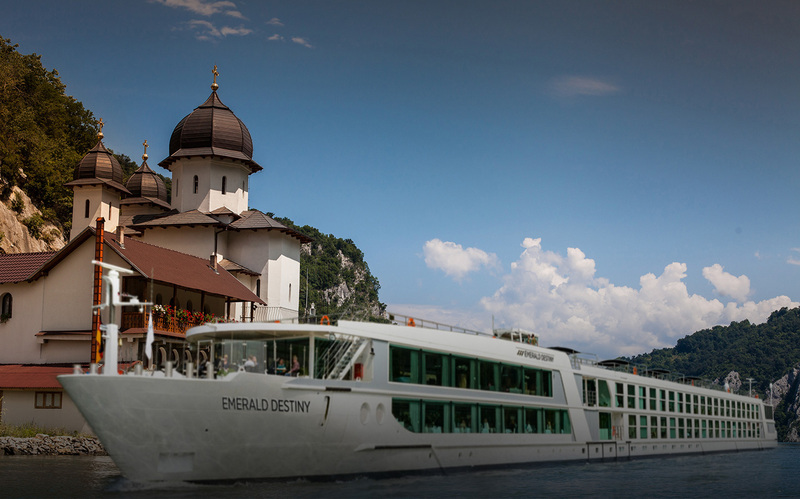 Destiny’s innovative retractable roof over an indoor heated pool sets a new standard for riverships. The Sun Deck offers stellar views of the beautiful scenery that glides by. It’s the perfect place to lounge away an afternoon or evening as you take in the magical charms of Europe’s famed rivers. 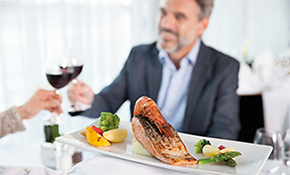 Sun Deck’s Sky Barbecue offers gastronomic delights to suit every taste and appetite. 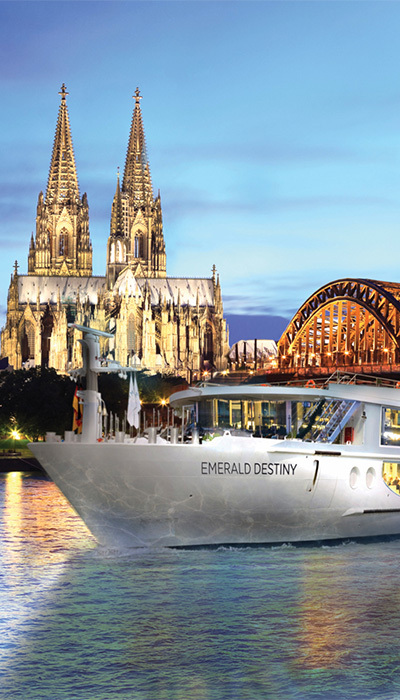 Dining aboard Emerald Destiny provides an endless array of palate-pleasing farm-to-table sensations. Reflections Restaurant is where you’ll enjoy the majority of your breakfasts, lunches, and dinners. At the very heart of Emerald Destiny is the Horizon Bar & Lounge. A contemporary, chic social space; the lounge is equipped with a comprehensively-stocked bar, skilled bartenders, help-yourself hot drinks facilities, and a generous offering of plush seating and sofas. Take advantage of Emerald’s fully-equipped Fitness Area and spa-like Wellness Area. Whether you decide to make the most of the gym or enjoy any one of a thoughtful range of professional, invigorating treatments, this is the perfect way to begin or end your day of exploration and adventure—it’s all up to you. A perfect place to enjoy a relaxing meal near the bow of the ship. 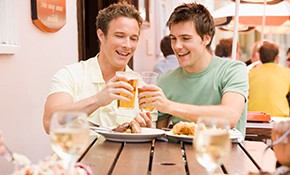 On cooler days or evenings, the outside heaters help create a warm summer-like atmosphere. As we make our way down the rivers of Europe, this will become a favorite hang-out spot to watch the stunning countryside glide by. Everyone needs a savvy travel companion – someone who knows the ins and outs of all the fabulous places we’ll visit. For VACAYA’s 2019 European Christmas Market Cruises, ours is Tobi Grill of Würzburg, Germany. Tobi will be our onboard expert, helping us navigate the bustling markets and all the splendid sights we’ll see as we travel through the heart of Bavaria. A new dimension in onboard evening entertainment, you’ll be able to watch classic films and recent releases as you wind down for the night with a drink, in the company of your fellow travelers. So if you’re not in the mood to take advantage of the bar, or ready to retreat to your room, the cinema is a great place to spend an evening. 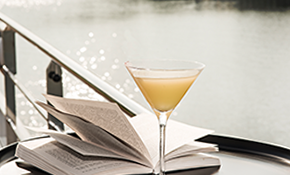 When the weather’s nice, The Terrace – located at the bow of the ship – offers a beautiful setting to enjoy al-fresco dining. For the perfect start to your day, you can watch the sun rise with your morning tea or coffee and light breakfast. With a panoramic view, The Terrace is also a lovely place to grab a café-style lunch from a choice of pastas, pizzas, soups, sandwiches, and salad. And on select days, you’ll find us firing up the barbecue on the Sun Deck for a fantastic grilled feast. On the Emerald Panorama Balcony and Grand Balcony Suites, Emerald has replaced the run-of-the-mill French balcony that’s commonplace on riverships with a new kind of indoor balcony complete with a decked area and an ingenious open-air system. From the moment you step aboard to our last wave goodbye, your river cruise vacation includes almost everything imaginable. VACAYA’s signature service, attention to detail, varied dining options, specialty entertainment, friendly parties, and welcoming community are just some of the reasons why LGBT travel enthusiasts are viewing VACAYA as their clear new choice. Add to that the value that comes with a nearly all-inclusive travel experience and VACAYA simply can’t be beat. Be sure to check out our Early Booking Pricing and Inaugural Bonus Offers to make your hard-earned vacation dollars stretch even further!